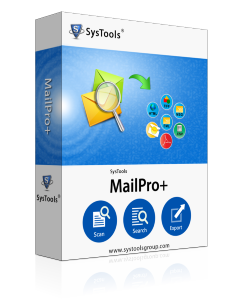 Outlook Mac Forensics tool can Perform Forensics of 14 Other Email Application Also. Find Option:-To automatically locate the OLM file from local storage. When software completes the scanning process, then OLM forensics tool loads the file in recursive manner in the left panel of the software. Click on the email to analyze it in different preview modes like Hex View, Properties View, Mime View, HTML View, RTF view, Hierarchical view etc. When the OLM forensics tool completes the search process then result is shown in right pane. There is option provided by the tool to save the search result for further analysis. After carving out the information, OLM forensics tool facilitates you to export the Mac Outlook OLM file in the format like PDF, HTML, TIFF, CSV etc. Mac Outlook is the personal information manager for Mac Operating system developed by the Microsoft Inc. It is mainly used for the purpose of email communication. It is available for Home as well as for business edition. It allows the user to establish the server sides of MS exchange. It can be easily collaborated with the other high grade applications such as One drive, Office web apps to increase the productivity. Why do Mac Outlook Forensics? With growing effect of technology, Crimes rate get also increases exponentially which involves the technology as the medium. Over the last ten years, email has been the major carrier to spread the spams and malicious content over the internet. Email is now becomes the prime source of almost all the cyber crime frauds and activities on the internet. Due to high usability of mac outlook, there is high probability to get involves in the criminal activities like illegal sharing of confidential data, theft of intellectual property rights. After performing such type activities culprits have false belief that they are safe but they do not know that, the deleted information can also be extract from OLM file which the data repository of Mac Outlook. Therefore Mac Outlook forensics is needed to carve out the information. OLM forensics tool is the supreme utility to carve out the information so that suspects put under trial in court. Outlook for Mac data file emails can be opened and read on the platform. The application is a stand-alone and thus, does not require an external support for it to process Outlook 2011 email repository. Mac Outlook Forensics tool features provide a wide range of options to examine the most important part of an email & its header. Normal view, property view, header view, MIME view, and many more, this tool features it all. Evidence in the form of email messages once detected in Outlook 2011 data repository can be extracted. The evidence extraction procedure is supported in multiple output types, i.e. PDF, TIFF, HTML, MSG, EML, etc. An advance set of search options are integrated within the Mac Outlook Forensics tool. Examiners can define the search preferences using search types, criteria, operators, etc., and find out particular set of email evidence. Is it possible to get back lost email evidence? Yes, the application fully supports retrieval of lost evidence in the form of emails even though hard deletion has been performed. What kind of system requirements need to be fulfilled? The application has minimal system requirements and does not need any external applications in support of its operation. How can I process a data file without its preferred platform? Outlook Mac Forensic is a completely standalone program and does not require the installation/availability or configuration of Outlook 2011 for it to be operated. How shall I find emails sent by a particular suspect in case? Advance set of search options have been integrated within the Mac forensics software using which one can look for particular email evidence precisely. Our department had been looking for a dependable yet reasonably priced application for training purpose. Outlook Mac Forensics tool is a great provision by its developers for examining Outlook 2011 artifacts on Windows machine.